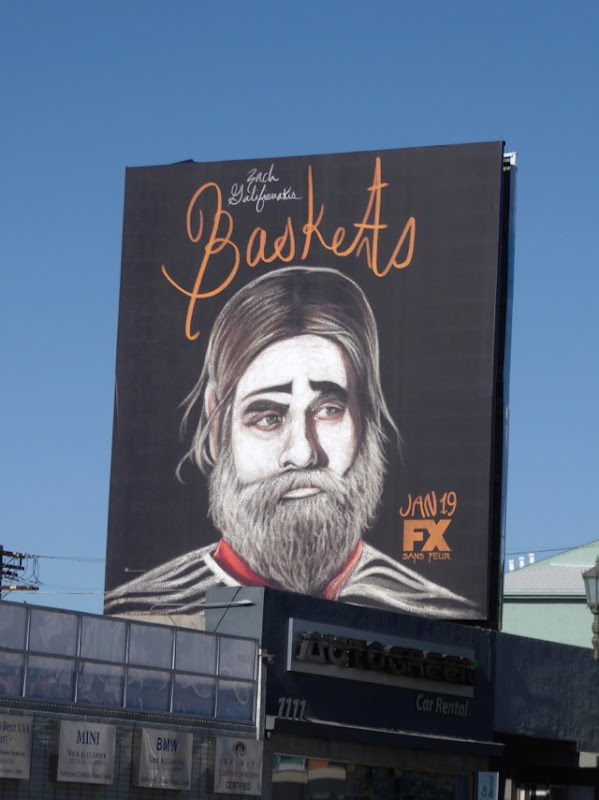 Funny guy Zach Galifianakis is back in the skies to clown around for a second season of FX's Baskets this January. 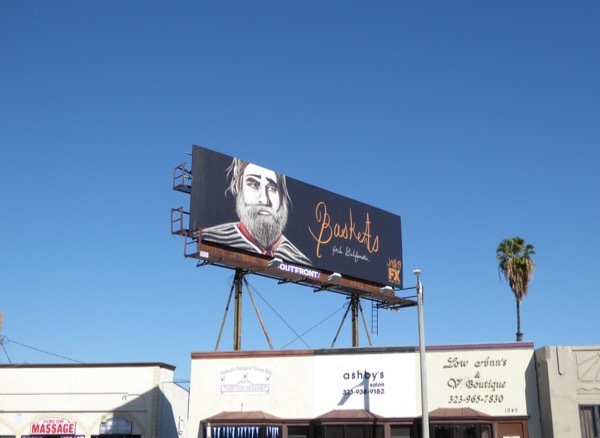 After failing Parisian clown school and being forced to move back to his American hometown of Bakersfield, 'Chip Baskets' life had seemingly collapsed even further by the end of the first season leading him to hop a train as a hobo. Let's see if he can turn his life around and pick himself up by the red nose and big funny feet in this new installment of episodes. 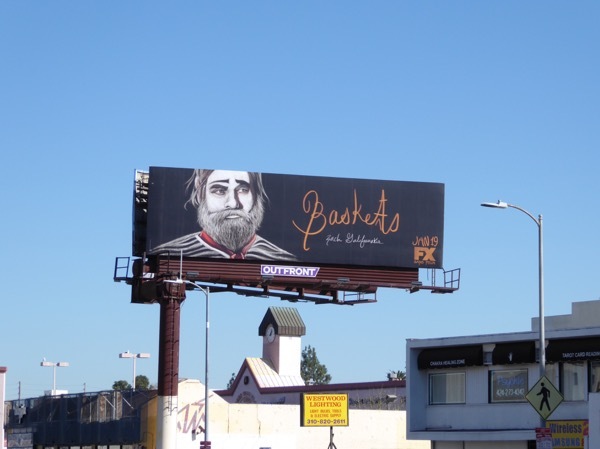 These sophomore season billboards for Baskets were photographed along La Cienega Boulevard, La Brea Avenue and Santa Monica Boulevard on December 29, 2016. 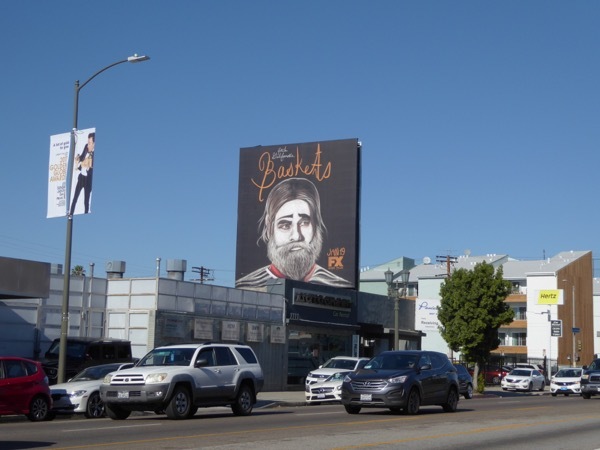 Fans of the dark comedy can also enjoy these Baskets series launch billboards and check out these Baskets season one costumes by Amanda Needham on display. 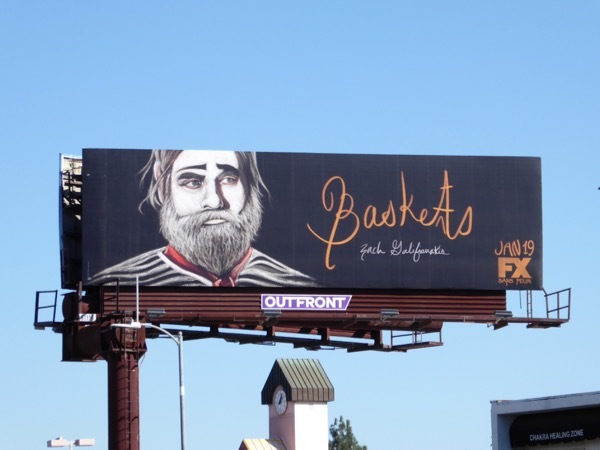 Hopefully Baskets can turn that sad clown frown upside-down this season (but we wouldn't count on it).